Police who arrest drivers arrested for DUIs in Los Angeles sometimes observe the motorist engaging in additional risky behaviors behind the wheel: talking on a cell phone or texting, for example. Now you can add another item to the list of dangerous distractions: Pokémon Go. 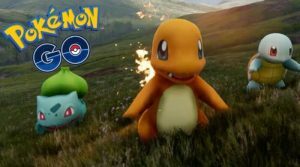 A young driver in Port Orchard, Washington, was apparently drinking, driving and playing Pokémon Go on the evening of Saturday, August 6th. Witnesses called police when they observed her driving erratically while using her mobile phone. The officers tracked the unnamed driver to a nearby waterfront park (a favorite spot for Pokémon Go players). When they questioned her, they found she was underage and under the influence, and she was driving on a suspended license. They arrested her on both charges.